I am the third of five children. My siblings and I could probably have won the contention award of the 1970s. We were opinionated, smart, and each felt it was our personal obligation to teach each other how to behave. The fighting was incessant. While I won’t deny that I was responsible for my share of the problem, as the middle child I also felt it was incumbent upon me to try to play the role of peacemaker. I was a people watcher then, like I am now, and I spent of lot of time contemplating why my siblings and I were fighting so much and what aspects of our behaviors were contributing to the perpetuation of what seemed to me like never-ending conflict. 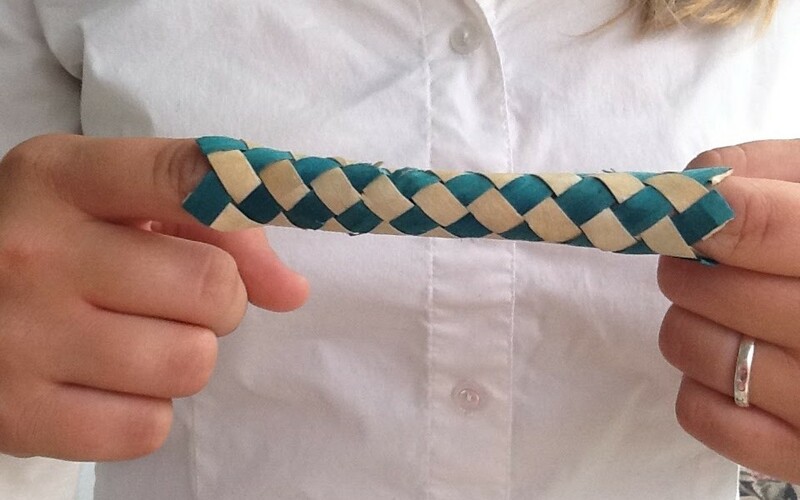 One day, as an early elementary school student, I brought home a Chinese finger trap from a birthday party. I put my fingers in it and, as you already know, when I tried to pull them out, they wouldn’t come free. The harder I pulled, the more stuck I was, of course. I was scared, frustrated and angry. My fingers hurt. It didn’t take me too long to figure out that if I stopped reacting to my frustration and fear and relaxed and pushed my fingers together so that the woven fibers would stop constricting, I could easily pull them free and experience the relief I was looking for. Even in first and second grade I liked to think about people, their behaviors, and the way they interact. For some reason, I applied what I had learned from the Chinese finger trap to the problems my siblings and I were having. I saw that the harder I argued for my own positions and tried to pull my siblings to my side through attempting to convince and change them, the more resistance they gave me and the harder they fought to try to change me. The more I pulled, the more rigidly my siblings would pull and the more stuck in the mire of anger, frustration and fear we would become. I didn’t like the contention. I wanted peace. I loved my siblings. I wanted relief from the pain I was feeling. I found that I could experience that relief through stopping my behavior of trying to change my siblings and just listening to where they were coming from. Then, I could show respect for their positions and decide whether or not I wanted to give their arguments any credence. More often than not, I decided that I liked my own opinions, beliefs and decisions more. (I can’t remember ever being accused of not being stubborn, FWIW.) I found that I could hold firm in my own beliefs and life decisions without causing myself and others frustration, anger and pain by trying to convince them that there was something wrong with the way they did things. My siblings and I could come together and enjoy each other’s company and friendship without all the fighting. I could have respect for myself and respect for them even though we disagreed. As an adult, I often see the hurtful dynamics of the Chinese finger trap in the incredibly important and consequential debates in which we engage. In fact, as I listen to the debates, the image of the trap comes to my mind again and again. I recognize that people fight for their own positions for well-founded and valid reasons and that their intentions are generally beneficent. In most cases, they are fighting for ideals that they hold to be vital parts of their identities and senses of self-worth and/or are attempting to alleviate their own and others’ pain and to serve their fellow human beings. Much good comes about because of the debates. We need to challenge each other when so much is on the line. With that said, we also need to recognize how much pain the conflict itself engenders. While there is value in the fight, there is also a bite to the fight that hurts the most vulnerable among us. There are many who are silently holding secrets they don’t dare share because they fear the fight they watch and the retaliation, rejection and exclusion they may receive not only from their close families and religious communities, but also from those voices in the fight whose opinions and beliefs they don’t share. Circling the Wagons seeks to create spaces that are safe for everyone so that we can really listen to each other and so that we can talk about ethical ways of communicating and think about more productive modes of conflict resolution. The objective is to loosen the constriction of the proverbial Chinese finger trap so that pain can be alleviated and understanding, acceptance and belongingness can be achieved. ← How Do You Raise a Gay Mormon Teen?